During the course of the past academic year, I've discussed the idea of uncanny black women characters with Briana Whiteside, a first-year student in our M.A. grad program in English. I've followed along as she wrote several blog entries on the subject. Now, I'm following along as I read Mark Anthony Neal's Looking for Leroy, and he discusses "legible" and "illegible" black masculinities. For Briana, the touchstone is Octavia Butler, especially Butler's mysterious women. 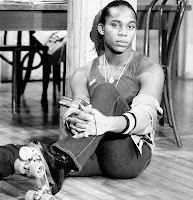 For Neal, one of the touchstones is Leroy (played by Gene Anthony Ray) in the movie and then television series Fame. Neal discusses how a range of black men and black men personas, including Hawk, Denzel Washington, S. Carter, R. Kelly, and others are both legible and illegible in the public imagination based on how they are read and misread. Lately, Briana has been thinking through the differences between "strong" and "uncanny" black women. 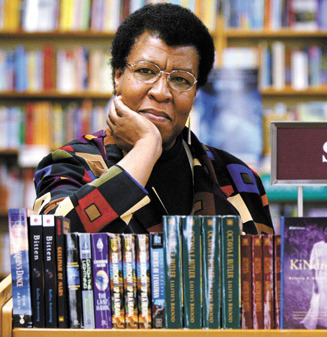 Interestingly, talking with her about the subject made Neal's work even more legible to me as I began reading his book. At the same time, the extended and scholarly treatments that Neal is providing are giving me ideas on how I might advise Briana to move forward with her own work. Briana is a year out of undergrad, and Neal is well into a distinguished career. I'm enjoying thinking about the places where their works meet and diverge.